Pat Counihan and his wife Carol, long term Doylestown residents with a strong, local family history, know all too well the importance of a quick-thinking medical team. The couple raised three energetic boys in Doylestown and had numerous “situations” that required trips to the hospital. Now those boys have four children of their own. Carol, their three sons and all four grandchildren were born in Doylestown Hospital, and the entire family has relied on the local high quality care available to support their healthy family. “Many folks in this country aren’t as lucky as us to have this kind of staffing and excellent care locally—it’s a blessing,” says Carol. 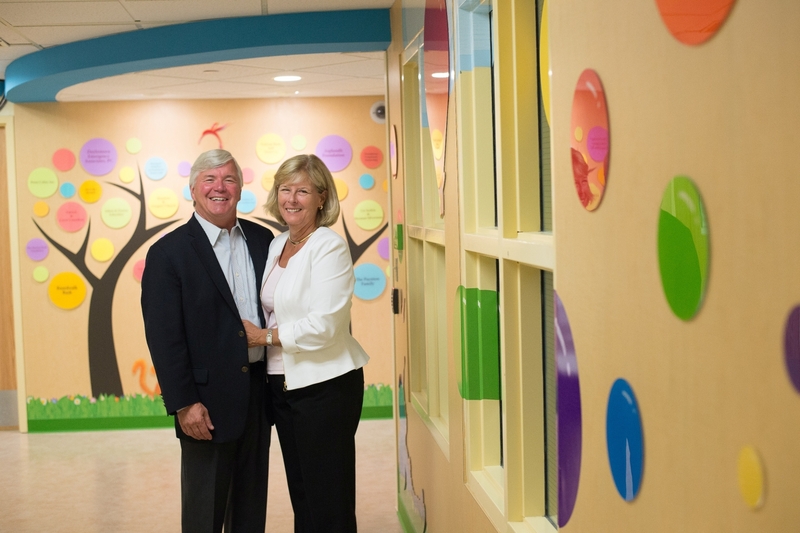 It was these personal experiences at the hospital that led the Counihans to make a generous gift to the Della Penna Pediatric Center this past year. The gift was also charitably matched by Pat’s former employer Merck & Co., Inc. “Doylestown Hospital is thriving and we want to keep it that way!” concludes Pat, an active member of the Doylestown Health Foundation board and many other community groups.